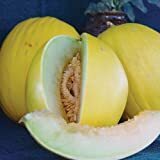 Canary melon growing – herbaceous of the genus Cucumis, Canary melon annual plant grow as creeping vine or vine, can grow mediterranean, desert, subtropics, temperate or tropics climate and growing in hardiness zone 2+. 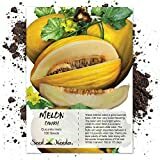 Canary Melon seeds -Tangy and Mildly Sweet. Flavors of banana and pineapple! 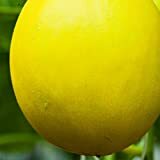 What can be done with big quantities of Canary melon fruits? 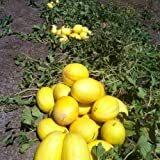 Picked before fully ripen after the picked need to give time to be ripen.